The web-based nature of the system offers remote access from the comfort of your location 24/7 even beyond normal business hours without having to visit the registry office. The priority among competing charges or security interests is established according to the time of registration and certified Search Report can be obtained within minutes. It reduces and frees officials of the Registry of operations from manual reviews, searches, paper burdens, and storage costs. This is a web based collateral registry software solution designed and developed by Bsystems which can be customized for registrations of security interests over debtor’s movable and immovable properties or collaterals to meet legal and operational requirements of the client. The Collateral Registry System provide information on the existence of relationships between lenders and borrowers as they relate particularly to movable and immovable collateral[s] as well as other ancillary functions, providing users world-wide 24/7 access to the services of the system. Bsystems has worked with the International Finance Corporation (IFC) a member of the World Bank Group and successfully developed and implemented the Collateral Registry System for the Bank of Ghana (BOG), the Central Bank of Liberia (CBL), the Department of Registrar General (DRG) of Malawi, the Central Bank of Nigeria (CBN), the Bank of Sierra Leone (BSL), the Patents and Companies Registration Agency (PACRA) of Zambia. 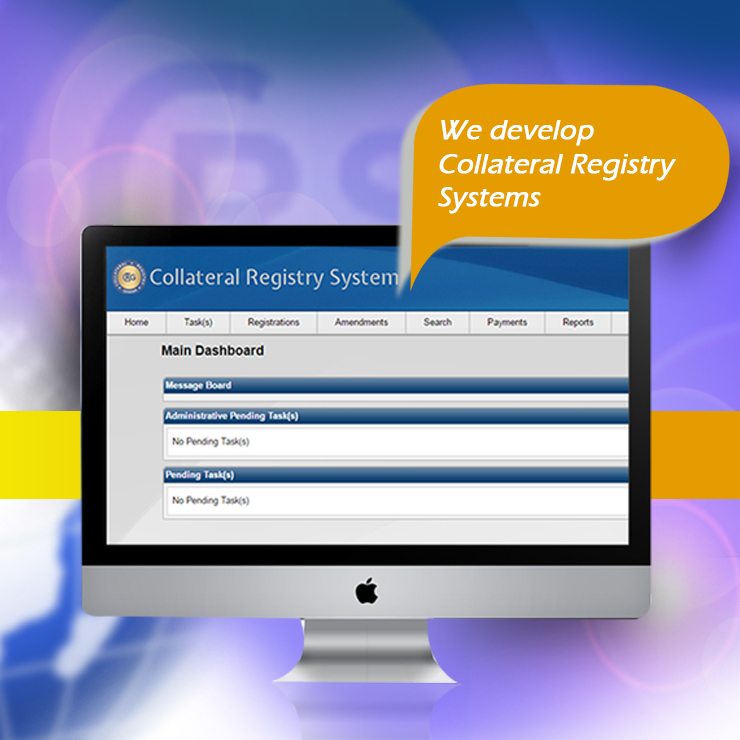 The Collateral Registry System is an integrated application with multiple features that can be divided into a set of loosely coupled named modules to meet business and operational requirements useful for clients. 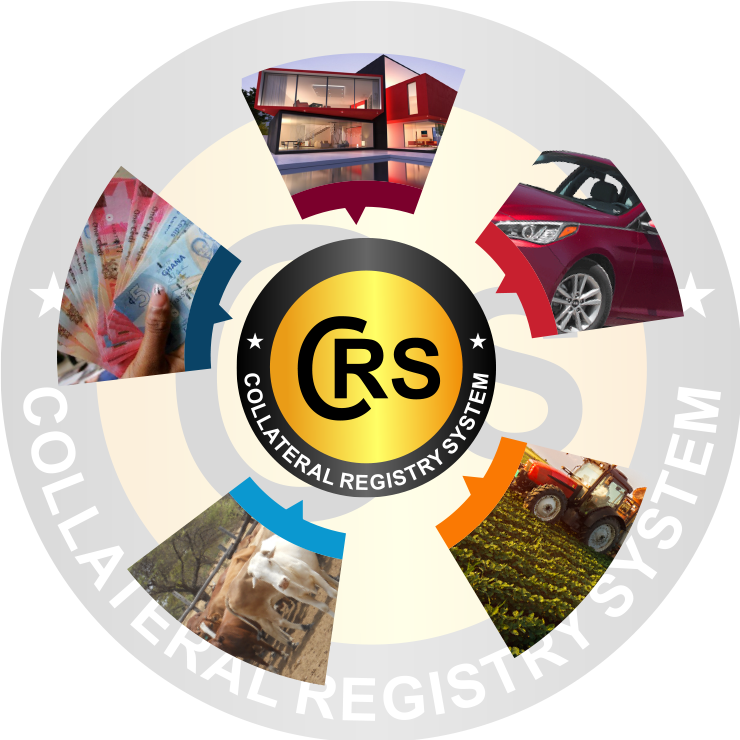 The Collateral Registry System (CRS) allows Lenders or Creditors to perform online registration or filing of notices of security interests, charges or pledges on debtor’s movable or immovable properties used as collaterals to secure a loan or debt obligation. It allows such lenders to modify, amend or discharge such security interests created, keeping track of all historical changes to the initial financing statement and obtaining instantly a certificate with electronic signatures and time stamp. The system enforces User login encryption and validation. It holds an administration module that allows the Client Administrator to manage their own client and user accounts in the system, providing an audit trail of all user activities. The system hold a payment module that allows the Users to pay for the usage to the Registry system using different payment modules designed. The application allows a 24/7 online access to Search the Registry and obtain a certified search report online to determine priority among competing security interests. The communication and notification modules provides users with quick and timely access to mailing information and tasks that requires their immediate attention. The Help desk module allows system issues to be tracked and resolved quickly. To generate activity and transaction-based adhoc reports. To Export Report Data from the system and save in PDF, Excel and Word formats. To provide statistical reports on registrations and value of financing to businesses that aids in informing management decisions. The system allows third party payment integrations to allow mobile and online payment of transactions performed in the system.